Our service will also provide you with the evidence you need to satisfy visits from workplace authorities. Why Choose Anmar Solutions For Test and Tag Services? To ensure that every member of our staff understands the gravity of their role and their responsibility to employers, employees and the general public in checking the safety of each appliance and ensuring that every test has been conducted before an appliance is passed. To make the provision of safety our first and foremost desire and to never sacrifice the provision of safety for factors such as cost, time or convenience. 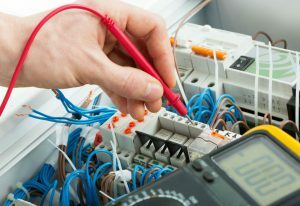 Our electrical safety and performance services in Sunshine extend far beyond out test and tag service and you’ll love the fact that you only have to deal with one quality provider for all of your electrical safety needs and you’ll also love the skilled, experienced and highly-qualified technicians that we provide you with. Anmar Solutions is headed by a board of directors that have worked in the electrical industry for over 40 years meaning our technicians are backed by people that have worked in the industry and know how to get things done properly. Our methodology has a proven track record which is why we apply it to every job we take on. We perform detailed testing on all your appliances to ensure they are safe and efficient enough to meet the standards outlined in AS/NZS 3760: 2010. We use state-of-the-art technology to perform our testing. Our Portable Appliance Tester allows us to accurately test and tag your equipment. We link each tag with our database. You are able to access this database whenever you like to see when you’re due for re-testing. This database can also be used to show authorities that you have met your responsibilities as an employer.